It is on this morning that I wanted to share a little bit of my day to day life as a twin mom. My morning got an early start when at 4 am one of my twins arrived in my bedroom and quietly whispered that she no longer wanted to sleep. We had let her have a sleepover in her sister's room last night and apparently her sister's snoring had awoken her (I think this may be the first and last sleepover!) Being too tired to move all her stuff into her own room, I told her to climb into bed. She quickly fell back to sleep and proceeded to take over my side of the bed- happy sleeping for me! We awoke again at 7 am and proceeded to get ready for swimming classes. We grabbed a muffin to go and a much needed Starbucks coffee for myself and we were off for the day. I am now sitting in the swimming pool watching my daughter Jorja swim under the water with no hesitation for the first time. What a proud mother I am! Taylor will soon gain the confidence, she always takes a bit more coaxing and then she becomes a dare devil. 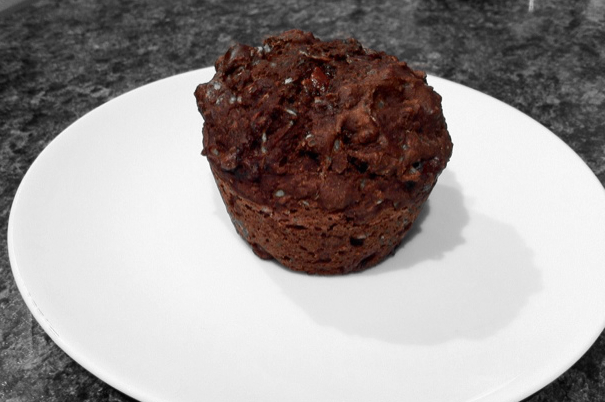 And in the meantime I decided to fit a quick post in about my newly created muffin recipe. 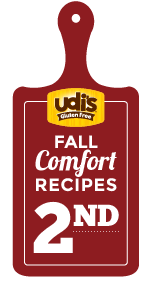 Between my work schedule and being a mom, I always want to share my latest gluten free adventures, so you blog wherever you can! This latest recipe was inspired by a muffin I had while in BC and the plentiful amount of squash I have planted. 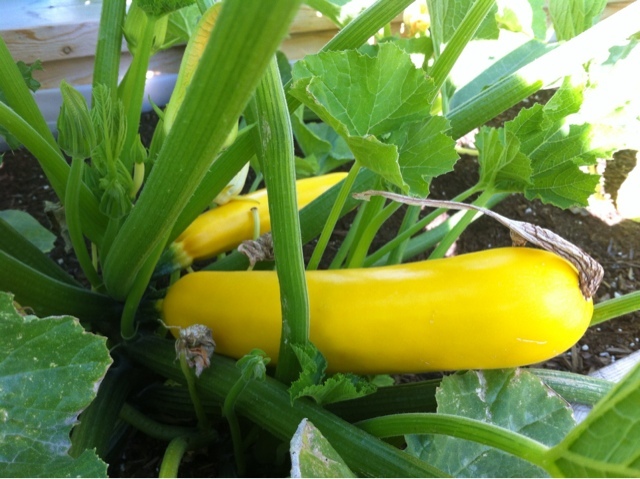 Last year I planted three zucchini plants and had a squished crop given the small size I dedicated to these plants. 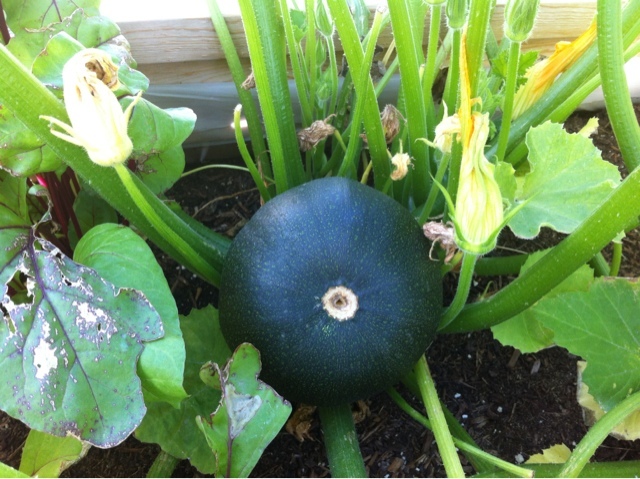 This year I decided to dedicate an entire garden bed to squash. With that said I also decided to plant double the amount of plants with a total of six- 2 green zucchini, 2 yellow zucchini and 2 eight ball zucchini. Although we love zucchini, perhaps I will learn one day that less is more! However it is great to be able to share our produce with friends, family and neighbors! These are simply my favorite muffins I have ever made. They are a great breakfast and offer a good source of vegetables and protein with the addition of the quinoa. They are quite hearty and not overly sweet except when you get the rare bite of a delicious dark chocolate chip. Hope you enjoy! 1. Mix together the first 9 ingredients. 2. Soft in a separate bowl the flours, baking soda, baking powder and xanthum gum. 3. Add dry ingredients to wet ingredients and mix ingredients together. 5. Spoon into greased muffin tins (regular or mini). 6. Bake for 25-28 minutes until a toothpick comes out clean.